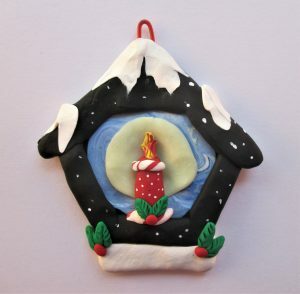 Today we are featuring the polymer clay Christmas Chickens ornaments of Wendy Jorre de St. Jorre of Australia. 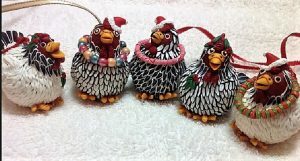 These Christmas Chickens are fun and whimsical. You can find more of Wendy”s work on her website. Be sure to check out her interview on The Blue Bottle Tree. Wendy Jorre de St. Jorre’s Christmas Chickens will put a smile on your face!